Monitoring is one of the essential duty of any DBA. Many people used to purchase 3rd party monitoring tool of SQL Server and some people like me used to develop their own monitoring tool for customize requirement. Have a look at the “Server Dashboard” screen capture below which I have taken from my testing server which I used to use for all my SQL Server related testing and also use to write an article. 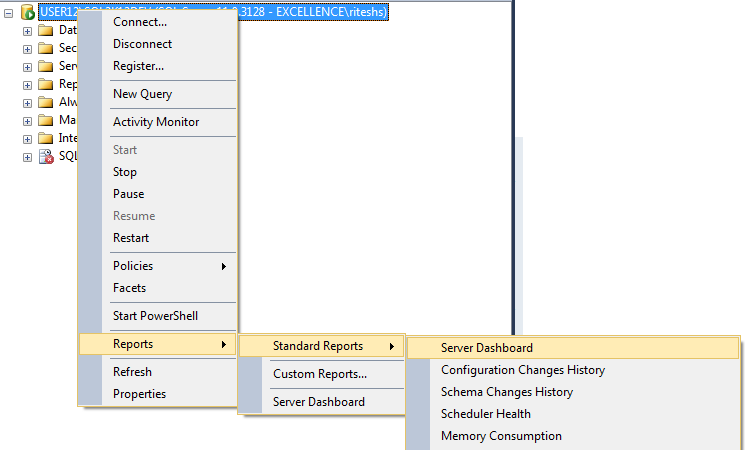 “Configuration Details:” which shows Last start up time of SQL Server, Instance Name, SQL Server Product version and edition. One important is total number of schedule jobs in SQL Server Agent. 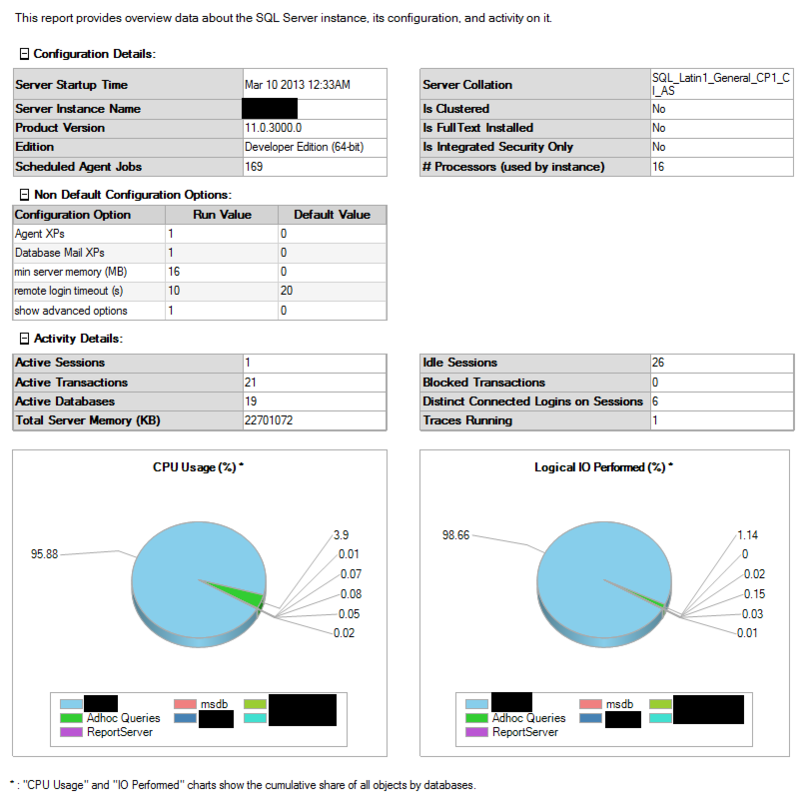 If there is special settings like Database Mail Xps, Min / Max server memeory etc., Dashboard report will show those details as well. You can even track activity details like Total Active sessions/transaction and database along with Blocked Transaction and traces running if any. It is very easy to open this report. Right click on SQL Server Instance Name in SSMS and following the screen capture below. 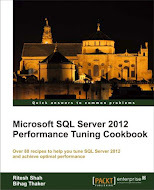 This entry was posted in sql server and tagged Server Dashboard report on March 16, 2013 by Riteshshah.